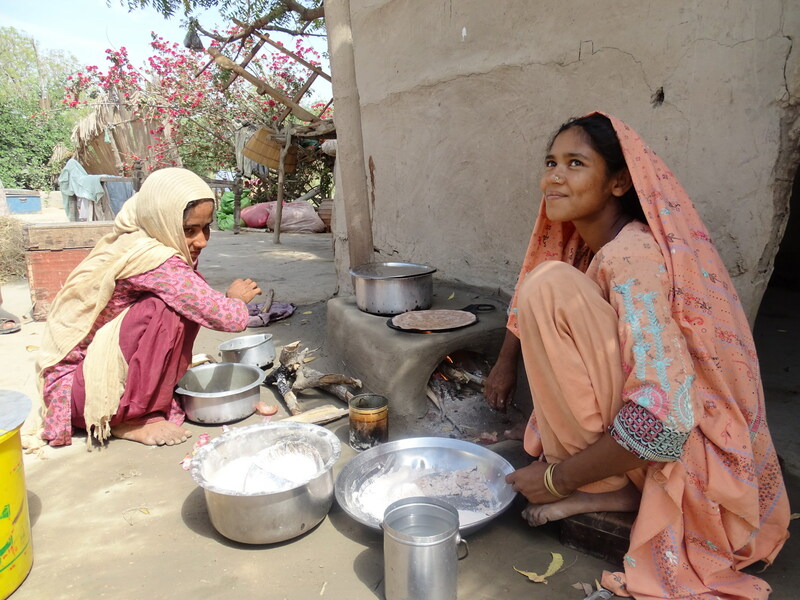 Mother and daughter using the energy efficient stove in Thatta, Sindh, Pakistan. Internationally recognised by the World Bank and the World Habitat Award, the Building and Construction Improvement Program (BACIP) tackles social economic problems in Pakistan with environmentally friendly solutions. The Building and Construction Improvement Programme (BACIP) has designed over 15,000 energy-efficient and living condition improvement products such as these fuel-efficient, smoke-free stoves, which have been installed in various households in South and Central Asia. On the roof of a house, the BACIP design of a storm window covering for the traditional smoke hole. The window can be opened to let in fresh air in the summer, but it can be shut from the inside to keep out the cold. 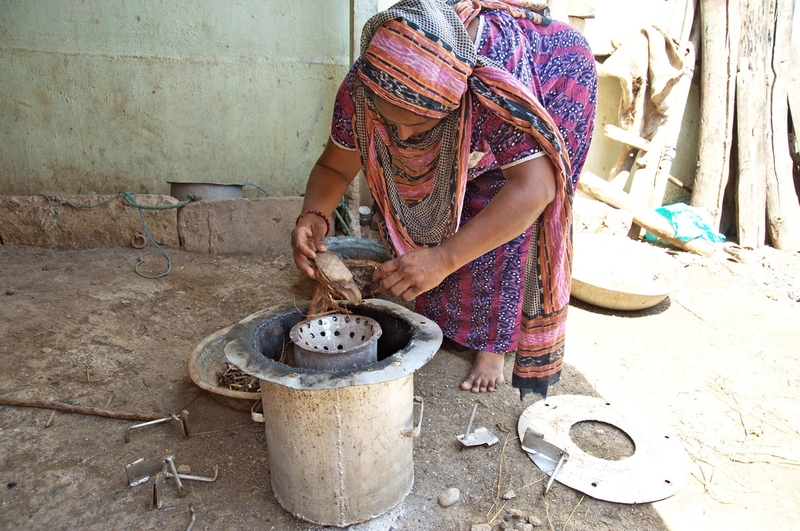 Smoke-free stoves – developed, tested and applied by the Aga Khan Planning and Building Services – help to improve the quality of life for poor families in the Gir Forest, Gujarat, India, particularly for women and children under the age of five, who suffer from unacceptable levels of indoor air pollution. 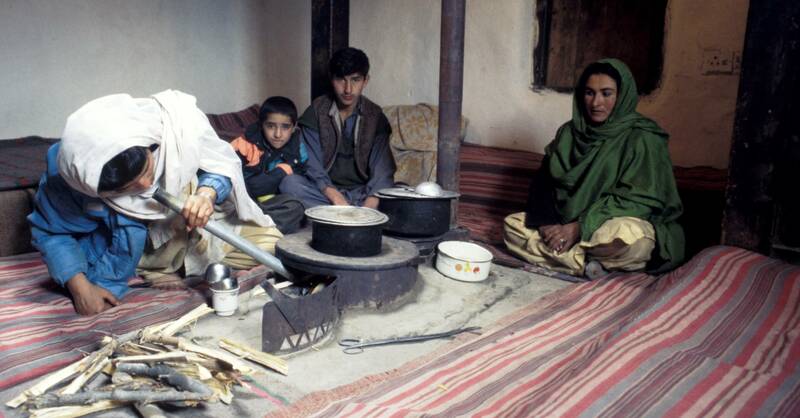 The Building and Construction Improvement Programme (BACIP) has designed over 70 energy-efficient and living condition improvement products such as these fuel-efficient, smoke-free stoves, which have been installed in various households in South and Central Asia. Established in 1997, by the Aga Khan Planning and Building Services, the programme has also trained entrepreneurs and more than 1900 artisans and crafts-persons in masonry, plumbing wiring etc. The degradation of natural resources, especially the loss of foliage and forest cover, has been increasing at an alarming rate, causing land degradation and soil destabilisation which, in turn, has led to diminished economic prospects for residents and even the loss of life (due to mudslides and floods associated with deforestation). A main cause of this deforestation is use of wood in house construction and as a fuel. 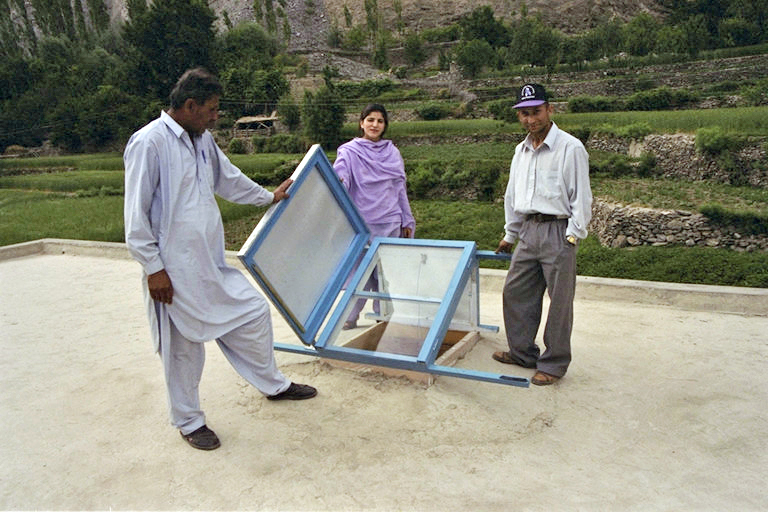 In areas like Northern Pakistan, for example, an estimated 15 percent of all household income is spent on heating, cooking and house maintenance needs. BACIP was set up as a research and extension programme to respond to this challenge. As a result of its applied research, solution development, field testing and market development, BACIP has developed more than 40 different types of energy-efficient and home-improvement products during the past 10 years. Solar cookers and solar water heaters for fuel conservation. © 2018 Aga Khan Foundation, an agency of the Aga Khan Development Network. All rights reserved.